In this blog we have written about dream estates in Cantabria, wonderful wineries in La Rioja or restaurants awarded with Michelin stars throughout the Basque Country, but we have never focused on our land. Today we reveal our favorite spaces in Bizkaia. We have a predilection for historic buildings, those that have a special character. We love the Convent of San Roque in Balmaseda. An old convent of Poor Clare nuns built in 1666 and now converted into a hotel restaurant. Its cloister is wonderful for the celebration of the civil ceremony. And continuing with the religious buildings, we can not avoid mentioning the recently opened Komentu Maitea, in Gordexola. 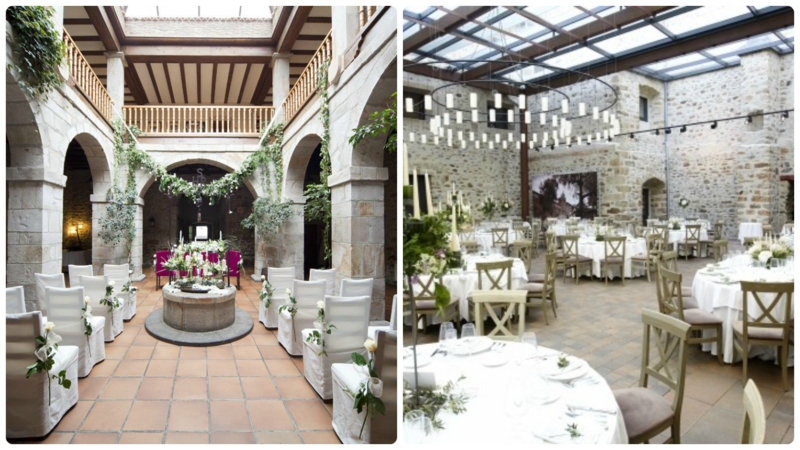 Although the main dining room located in the cloister is beautiful, there is the possibility of celebrating the banquet in the old church, now desacralized but with all the original elements. 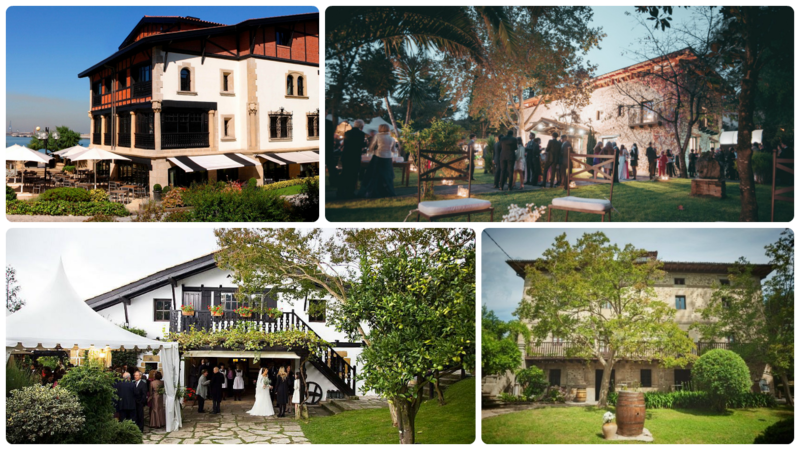 Also noteworthy is the Zubieta Palace located in Lekeitio, on the banks of the River Lea. It was built at the beginning of the 18th century on the old stables. On the other hand, the huge estate of the Goikomendi Hike Club in Lemoiz, is wonderful, with its spectacular panoramic view, its stables and its seventeenth century farmhouse. There a are a lot of these rehabilitated farmhouses. Like the Hotel Embarcadero in Las Arenas with its views of the Abra; Olagorta in Berango; or the beautiful Garden of Barretaguren of Güeñes. 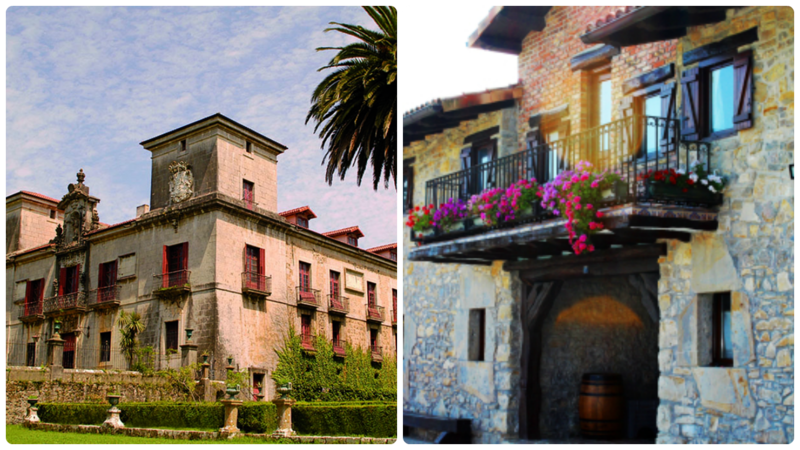 And finally, one of our favorite spaces, Palacio el Molinar, a magical corner located in Gordexola. In addition, all these places offer the possibility of holding a very intimate civil ceremony, one of our preferred services in Panateneas. Which one do you like the most?